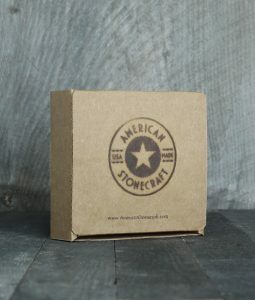 We made this set of Coasters from a stone that we hand-gathered at the place listed above. Artisans sliced, ground, and honed the rock with diamond tools in our Lowell, MA studio. Now you can use this artwork as bucolic household accents or to absorb condensation around your favorite cold beverage. The stone also works well as a trivet for hot dishes, or as a resting place for a candle, plant, or other treasure. 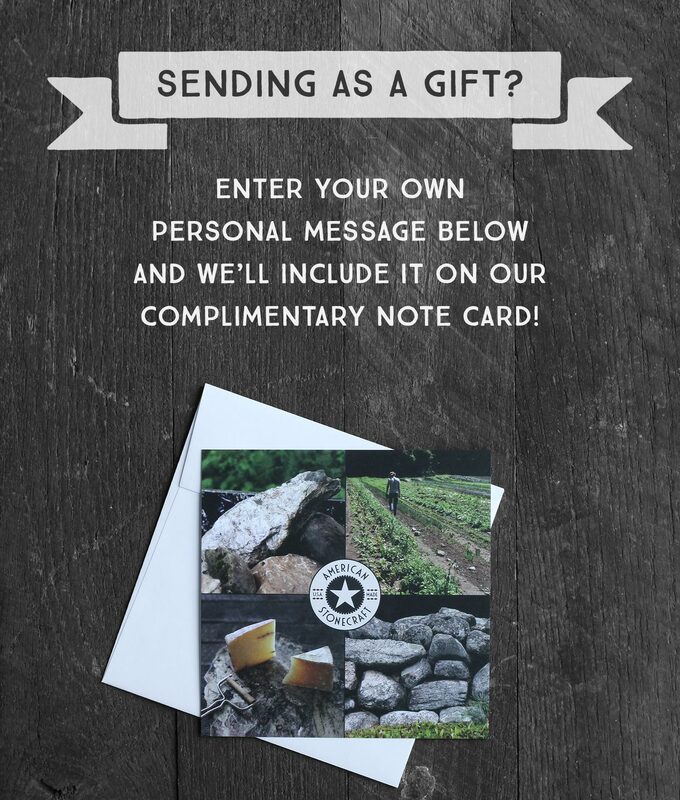 Each stone’s provenance and artisan is permanently labeled on the underside. Our Coasters most often begin as freshly “grown” fieldstones that American Stonecraft sustainably hand-harvests at working farms. However, for our Notable Places series, we gathered a stone or two from a special place to show what can be found there and share this with the public. Each rock is unique in shape and color, comprised of metamorphic granite. Artisans craft each Coaster from scratch in our Massachusetts studio using custom tools. The stone is transformed from a dull rock into a piece of art with gorgeously subtle color. 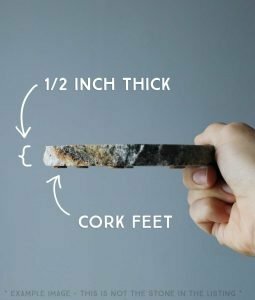 This color is not the result of an outside product or lacquer, but of skilled grinding and honing to a low grit, maintaining the stone’s natural absorbency. Our Coasters also retain the natural “live” edge from the stone’s glacial tumbling. 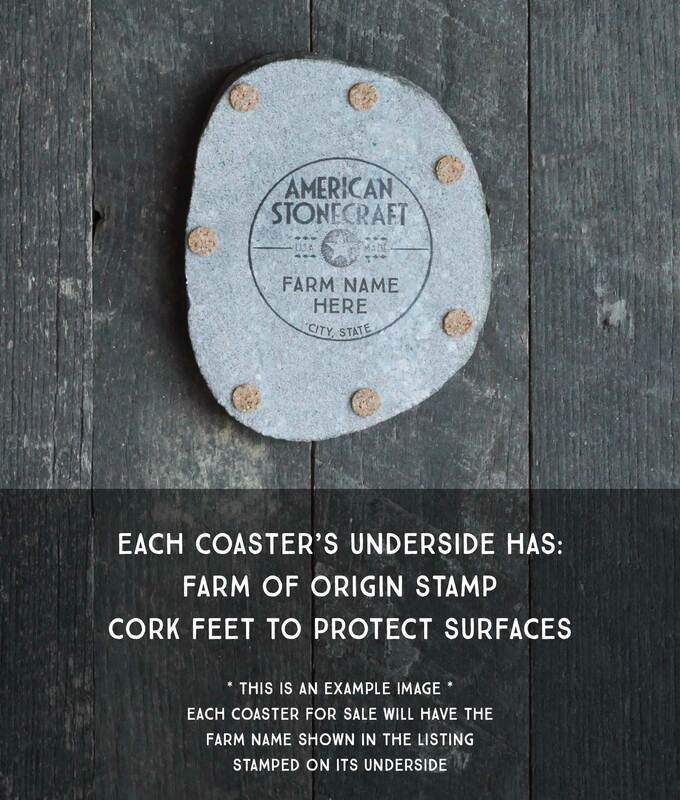 The stone’s provenance is labeled on the underside of each Coaster, along with cork feet to protect tabletops. Each stone arrives packaged in an American Stonecraft gift box with your personalized gift note, if applicable. Our Notable Places collection is intended to highlight the stories that these places conjure in our lives. American Stonecraft also makes Food Slabs that are custom sourced from your own special place.